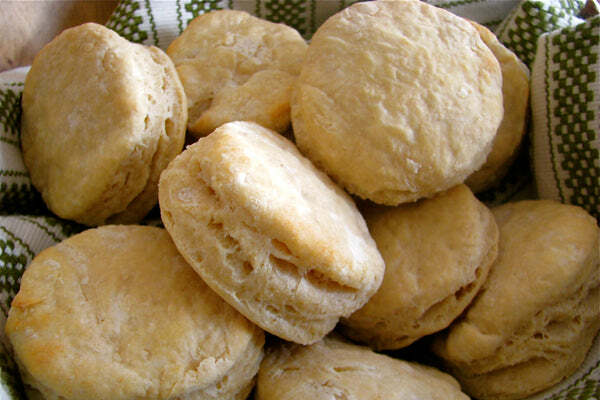 Although biscuits are a standard side dish in many American households, my family reserved the light, flaky, buttery discs of deliciousness for a special annual occasion. I spent many of my childhood summers with my family on the island of Cape Breton, Nova Scotia for a blissful month of hiking, fishing, fossil-hunting, beach wandering, and of course — cooking and eating. 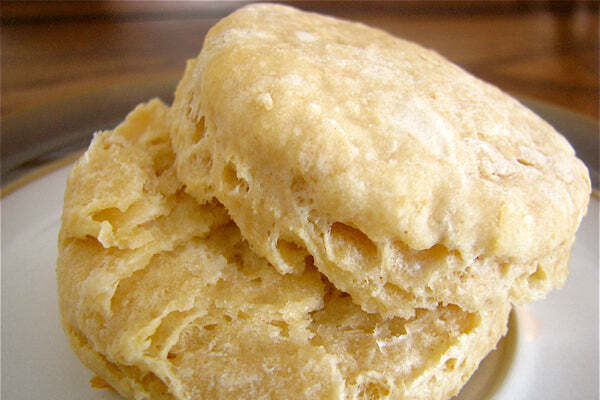 Without fail, every summer my mom and I would whip up a bunch of buttermilk biscuits to serve with a meal featuring the freshest seafood you can imagine. 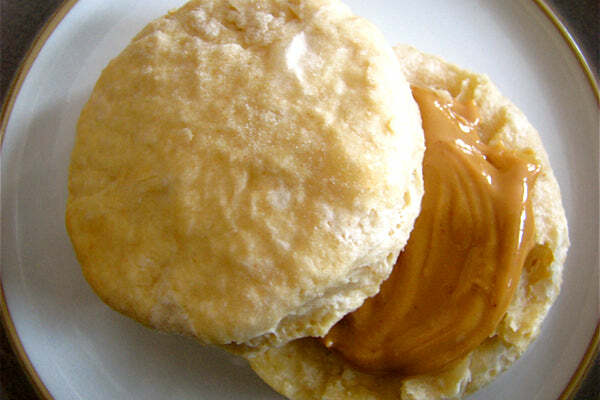 In an effort to recreate those delectable biscuits through an original interpretation, I came up with this recipe for Peanut Butter Buttermilk Biscuits. 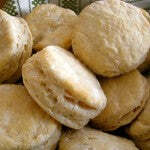 Although I wouldn’t recommend serving these peanut butter biscuits with a seafood dinner, I would highly suggest that you make a batch to enjoy slathered with butter, jam, honey, or additional peanut butter for breakfast or as a snack. This recipe is a tribute to my mother for all those times she fed and nurtured me. Happy Mother’s Day Mom! 1. Preheat oven to 375°F. Line a baking sheet with parchment paper or a silicone baking mat. 2. 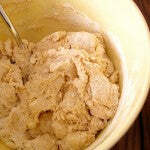 In a large bowl, whisk together 2 cups of the all-purpose flour, baking powder, and salt. 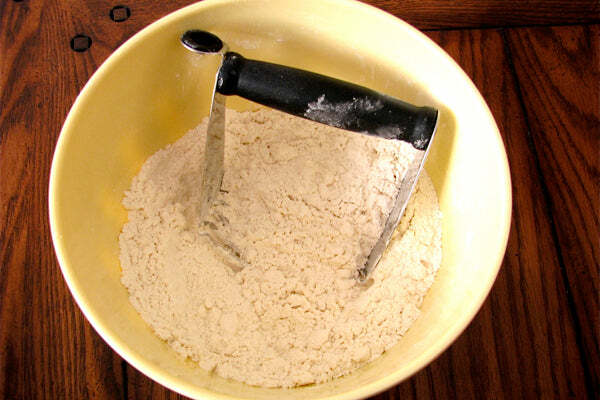 Cut in butter with either a pastry blender or fork until the mixture resembles coarse crumbs. 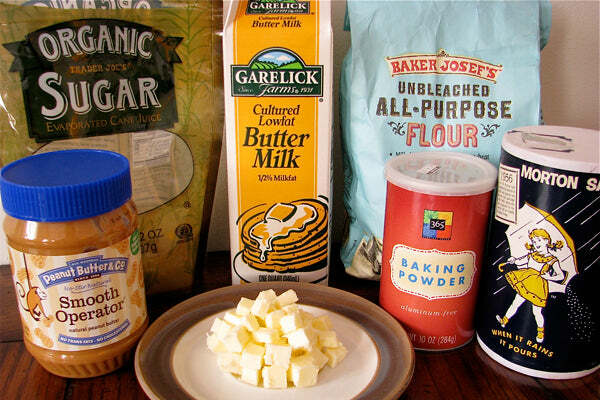 Alternately, you can place dry ingredients into a food processor, and pulse in the butter. 3. 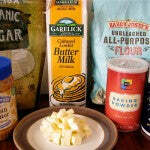 Combine 1/4 cup Smooth Operator peanut butter, buttermilk, and sugar in a medium bowl, whisking until well-blended. 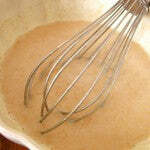 Add buttermilk mixture to flour mixture; stir just until the dry ingredients are moistened. 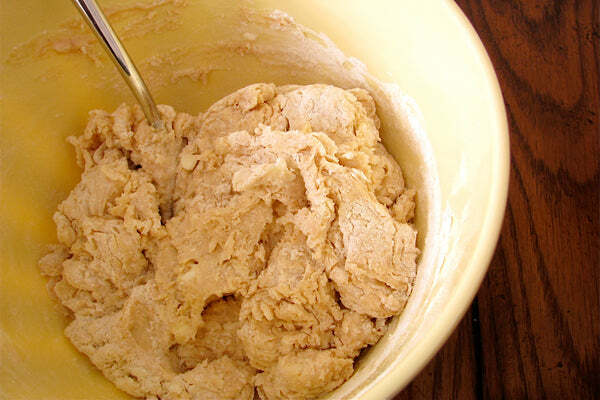 Dough will be slightly dry and crumbly. 4. 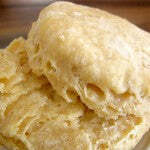 Turn dough out onto a lightly floured surface; knead lightly 4 times. Do not overwork dough. 5. Roll dough to a 1/2-inch thickness. Fold dough in half. 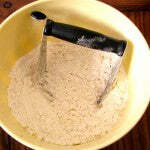 Re-roll dough to a 1/2-inch thickness. Fold dough in half once again, and gently roll to a 3/4-inch thickness (the folding & rolling technique creates the light flaky layers). 6. 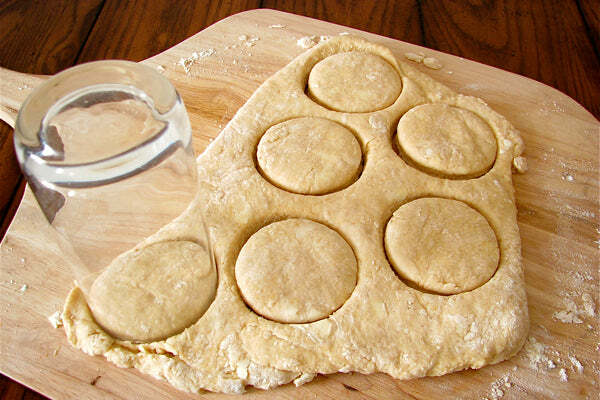 Cut dough with a 2 1/2-inch biscuit cutter or a drinking glass to form 6 dough rounds. 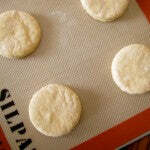 Place dough rounds, 1 inch apart, onto a baking sheet lined with a silicone baking mat or parchment paper. 7. 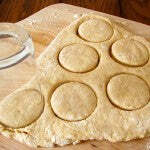 Gently roll out remaining dough to a 3/4-inch thickness, and cut out 4 more rounds. 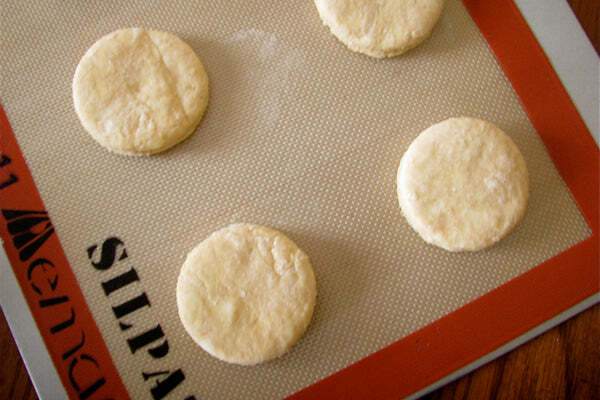 Add dough rounds onto the prepared baking sheet. 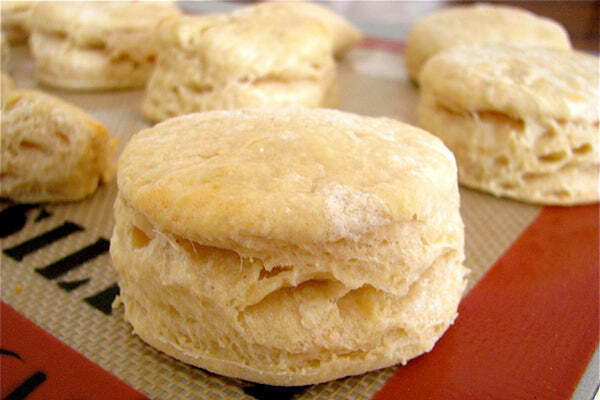 Any remaining dough scraps can either be baked as is, or rolled out a third time to create additional biscuits. 8. 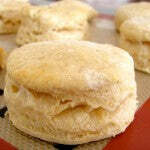 Bake at 375°F for 10-12 minutes or until lightly golden around the edges. Do not over-bake. Remove from pan; cool for 2 minutes on a wire rack. Serve warm, and spread with additional peanut butter. 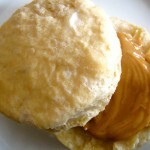 The post Peanut Butter Buttermilk Biscuits appeared first on - Peanut Butter & Co. Recipe Blog.